Whilst my partner Alex avidly watches the Gadget Show each week, I endure it in return for him sitting through my fix of Poldark or similar. That means that I’m not usually the right person to ask to review something technical, but the zzysh involves wine, which made me interested! I’ve previously been impressed by the ‘fine wine by the glass’ solutions used in good restaurants and pubs but hadn’t really seen anything suitable for home use. There are evenings when we fancy a glass of something nice to go with dinner but know that we won’t finish the bottle. This is where the zzysh promises to save us from oxidised wine the next day or day after. It works by injecting argon gas into the bottle replacing the air that would normally sit in contact with the wine. Argon is an inert gas, and imparts no flavour or taste to anything, unlike air which will allow a wine to oxidise. This should preserve the wine and halt any potential oxidisation. 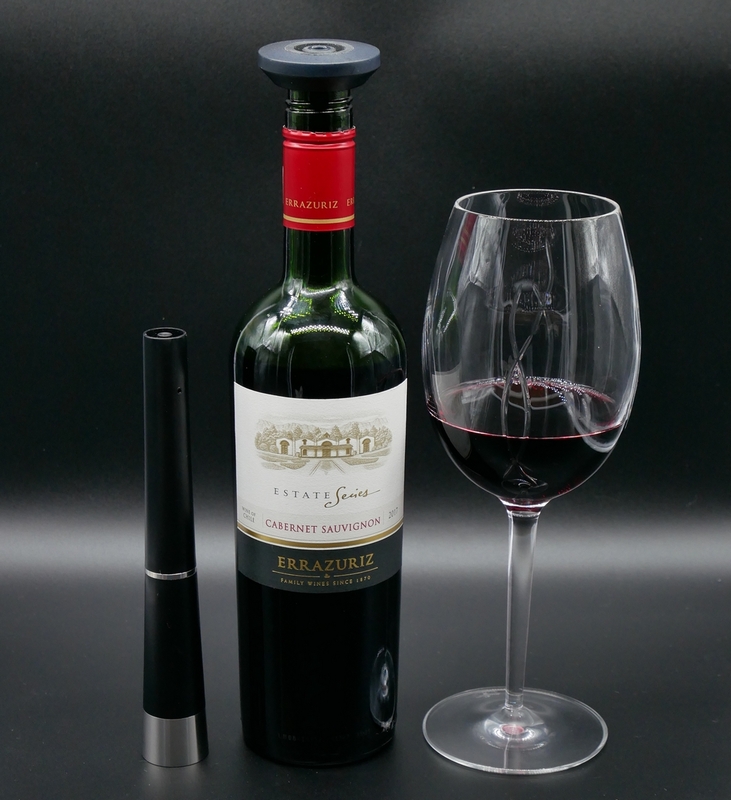 We tested the zzysh with a rather lovely bottle of Errazuriz Cabernet Sauvignon from Chile. It was opened on Sunday and we enjoyed its cherry, cranberry, spice and vanilla aromas and full fruit flavour with our roast pork dinner. We then used the zzysh to replace the air and waited to see the result. We released the seal and tried another glass on Monday – it was still perfect. It was again given the zzysh treatment. I was then out and about for a couple of nights and didn’t return to the wine until Friday (or I might have struggled to review this device properly!). I’m very happy to report that the wine was still perfect. It really does offer an excellent solution if you want to drink the right wine for each course of a special meal or if you like indulging in premium wines at home but don’t always want to drink the full bottle. The zzysh has a RRP of £79.90, and the pack of 5 cartridge refills are around £20. Each cartridge lasts for up to 8 bottles so for a good bottle of wine it’s well worth the investment (about 50p a bottle). And, there’s a special Champagne version too – although in my house Champagne never lasts that long! I do think it would be the perfect gift for a wine-lover at Christmas – the kind of thing you’ll actually use rather than put in the cupboard and forget about. 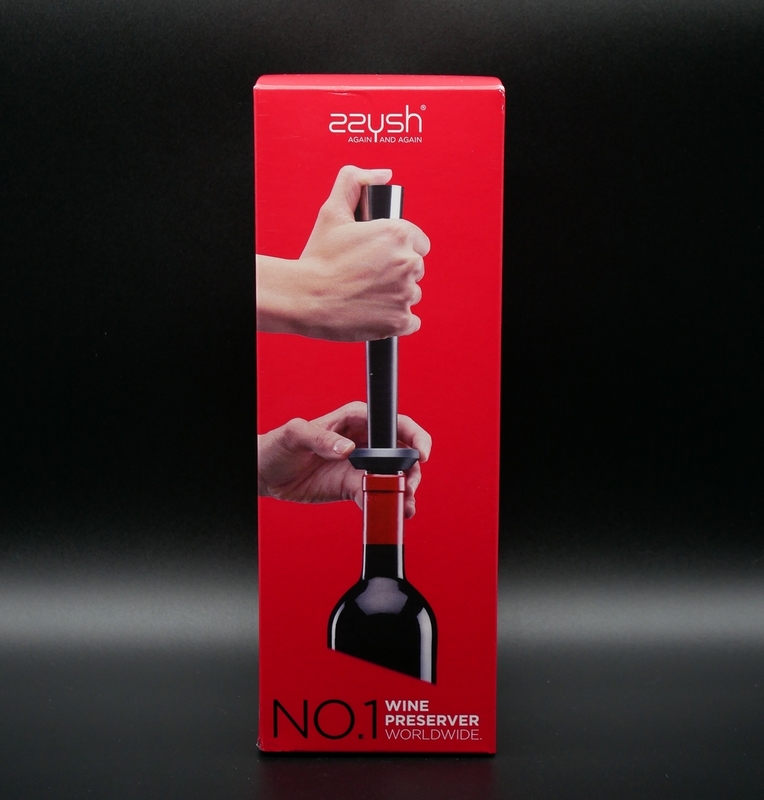 The zzysh wine saver is the creation of a young Swiss entrepreneur with a background in engineering sciences. He grew up helping his father and grandfather havest grapes and was always aware of the challenge of ensuring a bottle kept its initial taste and, in the case of Champagne or sparkling wine, the perfect fizz. The resulting products are now used around the world by wine lovers – the perfect way to avoid waste. Disclaimer: We were given the zzysh to review but all content is editorially given.